How much is Roger Goodell Worth? 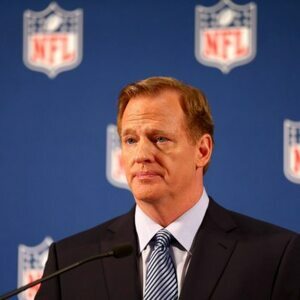 Roger Goodell net worth and salary: Roger Goodell is the Commissioner of the National Football League who has a net worth of $75 million. During the 2012-2013, Roger Goodell earned $44.2 million in salary and bonuses. His base salary was $7.2 million and his bonus was $37 million. 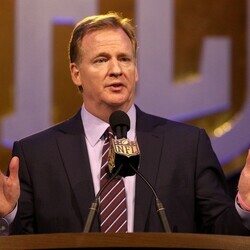 Roger Goodell has been the commissioner of the NFL since 2006 when he replaced Paul Tagliabue. 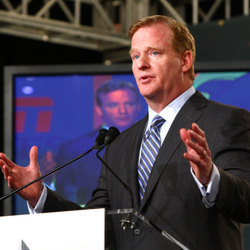 Goodell obtained this position after winning a close vote against four other finalists. He also was unanimously approved by acclamation of the owners, and officially started his tenure on September 1, 2006. He is also the President of the NFL Charities a duty that comes with the Commissioner's job. 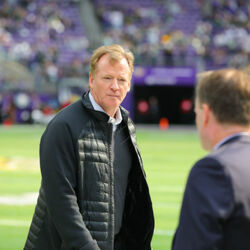 Sports commentators have described Goodell as "the most powerful man in sports", due to his authority and responsibilities with the NFL. He was born on February 19, 1959 in Jamestown, New York. His father is the late Charles E. Goodell who was a United States Senator from New York. His mother was the late Jean Rice Goodell of Buffalo, New York. 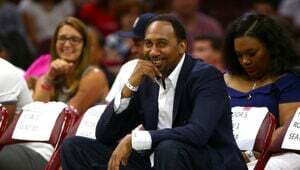 In 1971 his family relocated to Bronxville, New York where he became a three-sport star in football, basketball, and baseball at Bronxville High School. In his senior year he was the captain of all three teams and named the school's athlete of the year. 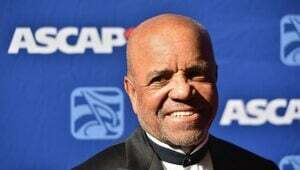 However when he attended Washington & Jefferson College in Washington, Pennsylvania, he was unable to play football due to Injuries he received in high school. In 1981 Goodell graduated with a degree in economics then started working for the NFL as an administrative intern at the league office in New York under then-Commissioner Pete Rozelle. In November 2006, Goodell was asked about the rumors that the NFL may expand outside of the United States. Goodell stated "I don't know if it will become a reality, but it is certainly a possibility". He is married to Jane Skinner a former Fox News Channel anchor, they have twin daughters.